Cosmetics Alliance Canada Export Certificates are for companies which manufacture in Canada and are looking to export globally. They are NOT for companies importing into Canada. For information on requirements for the sale of cosmetics in Canada, please visit Health Canada’s Cosmetics website. As a service to the cosmetic industry, Cosmetics Alliance Canada offers a certificate program to facilitate international trade. This certificate program, which includes Certificates of Free Sale, Good Manufacturing Practices Certificates and NHP International Trade Certificates, is offered to both member and non-member companies. For almost 90 years, Cosmetics Alliance Canada has been the leading Canadian association for the cosmetics and personal care products industry, and has been issuing certificates for over 10 years, destined to approximately 65 countries annually. Certificates of Free Sale are Affidavits signed by a qualified Cosmetics Alliance Canada specialist attesting that, to the best of the specialist’s knowledge, the personal care products in question are identical to those sold throughout Canada. A CFS is often requested by a foreign government to ensure that Canadian imports are in compliance with applicable Canadian Provincial and Federal law. Good Manufacturing Practices are guidelines for manufacturers to follow regarding production. These are designed to control and streamline the influence of outside factors on the quality of production. GMP Certificates are affidavits attesting that the manufacturing of the products in question are adhering to these guidelines. For additional information regarding personal care product GMPs, please reference ISO 22716:2007, Food and Drug Regulations, Part C, Division 2 “Good Manufacturing Practices” and Natural Health Product Regulations, Part C “Good Manufacturing Practices”. Companies who export Natural Health Products (NHP) from Canada are often asked by foreign customers or regulatory authorities to provide certification relating to products that are subject to Health Canada’s NHP Regulations. An International Trade Certificate (ITC) is a document prepared by Cosmetics Alliance Canada that contains information pertaining to a product’s or site’s regulatory and marketing status in Canada and confirms that the product or site has met the regulatory requirements of the Natural Health Product Directorate of Canada (NHPD) . There are two types of ITCs: one for Natural Health Products and the other for Good Manufacturing Practices Compliance. Cosmetics Alliance Canada will issue ITCs within a period of 10 business days at a cost of $199 each Certificate. Volume discounts may apply. For all ITC requests and more information, please contact Deborah Kwinter at dkwinter@cosmeticsalliance.ca or 905-890-5161 ext. 226. Please note, Cosmetics Alliance Canada provides ITCs for “cosmetic-like” NHPs which include acne therapy, anti-dandruff products, fluoride-containing anti-caries products, medicated skin products, diaper rash products, antiseptic skin cleansers, sunburn protectants, skin whiteners and tooth whiteners. Please contact us for further information or clarification. Cosmetics, as defined in the Canadian Food and Drugs Act as “any substance or mixture of substances manufactured, sold or represented for use in cleansing, improving or altering the complexion, skin, hair or teeth, and includes deodorants and perfumes,” are eligible for both CFS and GMP certificates. Cosmetic-Like Drugs & Cosmetic-Like Natural Health Products, are eligible if they fall within any one of the following nine categories: acne therapy, anti-dandruff products, fluoride-containing anti-caries products, medicated skin products, diaper rash products, antiseptic skin cleansers, sunburn protectants, skin whiteners and tooth whiteners. *Products outside of these categories may not qualify for a CFS issued by Cosmetics Alliance Canada. Please contact us for further information or clarification. In order to obtain a Cosmetics Alliance Canada certificate, applicants must first submit an affidavit based on the Certificate Guidance Documents and the sample affidavits included in the document. After we receive the required documentation, we draft a new affidavit based on the original affidavit submitted by the applicant, which includes an identification of the affiant, the company name and address, location of manufacturer and a statement swearing that, to the best of the affiant’s knowledge, the products listed in the document are freely sold or eligible for sale throughout Canada. For GMP documents, the affidavit must also include a statement declaring adherence to a specific set of GMPs. Cosmetics Alliance Canada is responsible for ensuring that the final certificate is notarized by a qualified Notary Public and then certified by the Board of Trade or Chamber of Commerce. The process can take 2-4 weeks, depending on the service requested and the complexity of the certificate. Cosmetics Alliance Canada membership is not necessary, but as a member you will benefit from a reduction in the cost. Cosmetics Alliance Canada offers the additional services of facilitating the authentication and legalization of your Export Certificates as well as other Canadian documents. Document authentications are performed by the federal or provincial government by verifying the seal, stamp and signature of the notary public. Upon meeting certain requirements including the authentication, document legalizations are performed by the consulate or embassy by adding their seal, stamp, signature or other legalization. Legalization fees and processes vary by consulate and embassy and can change monthly. Let Cosmetics Alliance perform these complicated and time consuming tasks on your behalf while you concentrate on other important business matters. For an A&L fee schedule or for more information please feel free to contact Deborah Kwinter at 905-890-5161 x 226 or dkwinter@cosmeticsalliance.ca. Only one original certificate will be produced and cannot be photocopied or duplicated for any purpose. 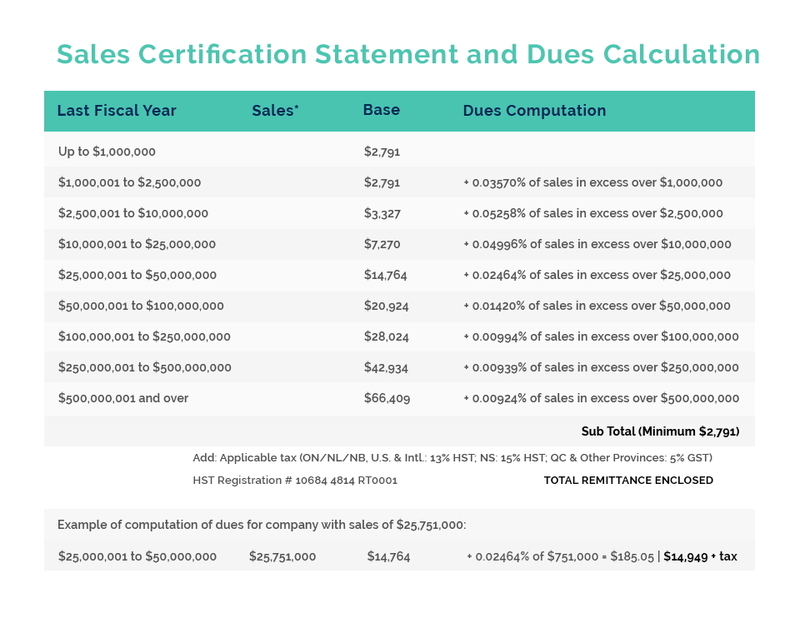 As each certificate will bear an original number, requests for multiple originals must be stated in the cover letter and accompanied by the full certificate fee for each additional copy. Because CFSs are generally prepared in the Country of Origin, Cosmetics Alliance Canada generally prepares CFSs only for products that are manufactured in Canada. In certain situations, however, we may prepare CFSs for products that are manufactured in the United States or abroad and distributed in Canada. It is also within our discretion to determine whether an Affidavit must reference the point of manufacture. Cosmetics Alliance Canada does not produce GMP certificates for products manufactured outside of Canada. The production of Cosmetic Alliance Canada certificate commences when all of the requirements in this document are met. Cosmetics Alliance Canada reserves the right to request additional information from the applicant. Such requests may include the following: label copy, product ingredient list, product samples, name and coordinates of the Brandowner. Cosmetics Alliance Canada may not prepare a certificate for any product known to us as subject to active regulatory action, scrutiny by Health Canada or scrutiny by the U.S. FDA. While we rely on the Company Affidavit for assurance and protection, if there are issues regarding a particular product, we will verify that there are no outstanding citations. Cosmetics Alliance Canada also reserves the right not to issue either a CFS or GMP Certificate if the standards of this program are not strictly adhered to. It is the responsibility of the company to ensure that all statements included in the cover page, affidavit, and attachments are accurate, true and verifiable at the time of submission. Certificate applicants are subject to the provisions of the Criminal Code, which makes it a criminal offence to knowingly and willfully make or submit false or fraudulent statements. 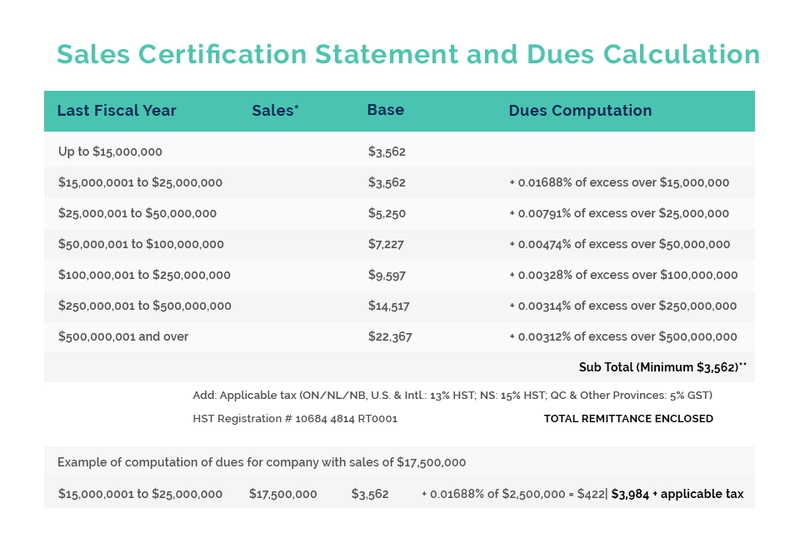 The appropriate fee must accompany the request for a Certificate. Payment is preferred in Canadian funds, via company cheque or credit card. Preparation of the CFS will commence only when all required material is received. There are no refunds. The fees listed below include costs and charges paid towards processing the certificate, such as notarization, certification by the Board of Trade (Chamber of Commerce), transportation, photocopying and other related administrative costs. Authentication and legalization fees are separate and vary by consulate/embassy. One original Certificate will be issued per country, per request. A separate fee applies for each certificate issued per country requested. However, multiple requests can be made on the same Cover Letter and Affidavit, provided the requests are identical. For ALL non-members of Cosmetics Alliance Canada, an extra processing and verification fee will apply. (Please see the non-member price listed below.) It is the applicant’s responsibility to determine if they are a member or non-member. If unsure, please check Cosmetics Alliance Canada’s website at www.cosmeticsalliance.ca or contact us directly. Please add tax to all payments. Taxes are based on CDN billing addresses only. II) The applicant is a custom manufacturer or agent and the brandowner is also a Cosmetics Alliance Canada member in good standing. **Rush service may not be available for non-members. Certain restrictions may apply. Cosmetics Alliance Canada reserves the right to issue a CFS at its sole discretion. Please be advised, the imposition of economic sanctions against foreign States and non-State actors remains an important instrument for the international community in the enforcement of international norms and laws. Sanctions can encompass a wide variety of measures, including limitations on official and diplomatic contacts or travel, the imposition of legal measures to restrict or prohibit trade or other economic activity between Canada and the target state, or the seizure or freezing of property situated in Canada. In order to maximize the effectiveness of a sanctions regime, particularly one involving trade and economic measures, Canadian policy seeks to ensure that sanctions measures are applied multilaterally whenever possible. It is the responsibility of the certificate applicant to ensure that they are adhering to all Canadian Laws and Regulations. For information on all sanctions, please visit Canadian Economic Sanctions.